Our range of School Ties is available in a different color combination and sizes. Exclusively designed for school uniform, these are perfectly stitched by skilled craftsmen. Our collection of uniform ties highly in demand in market. We are engaged in manufacturing of School Uniform Ties, we manufacture these school ties as per our client's requirement. These are very easy to wash and wear & fade resistant. Easy to iron and comfortable to wear, these Ties are high in demand among our quality conscious clients. We are the prominent manufacturer, supplier and trader of School Logo Ties, these are manufactured from high grade material. 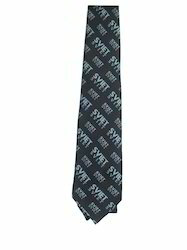 Our client can avail these logo ties at affordable price. These are known for their unmatched quality and unbeatable price in market.